Once every while, there is something new on the internet that splits people into teams! Then the memes begin and you start seeing it everywhere. Those things usually have a level of controversy (Either good or bad) and the latest of those is the Laurel Vs. Yanny audio file! I can actually hear both words depending on what I concentrate on, but many people hear only one of those. I do believe that readers have a love or hate relationship with Classics and not so much in between. I belong to the later group as I rarely enjoy Classics, but some people find a kind of magic in those books and they adore them. I think my problem with those is that they tend to be slow and over-descriptive, a combination that I will never tolerate. * The writing style: Some found it magical and flowery and beautiful while others say that it heavily uses them and it becomes annoying and bad! * The characters: This indeed has some annoying characters but I liked the development of the characters throughout the series, some couldn’t even continue book 1 so they don’t know this and I don’t blame them because Juliette is so stupid and childish in book 1. I enjoyed the writing style and the character development, but Restore me demolished all of this and I sadly gave it 2 stars. So once again, I can understand both readers POV! One thing that we won’t argue about is that this has a perfect cover, This was one of my most anticipated reads of the year and my most disappointing one. I read this as soon as it was released, back then it had an average rating of ~ 4.2 and I was pretty sure that there was something wrong with me, how can I not enjoy it when all those people can! Did I read the same book? Did I miss something? Anyway, I decided that I must be honest and gave this only 2 stars! More readers started reading this and gradually the rating started to drop. I started to see more 1 & 2 stars and reviews that I could relate to. So this is either a hit or miss, It didn’t work for me and many people (Average rating is now 3.65) but many enjoyed it too which is good for the author :D.
Since season 2 has just been released, I couldn’t help but to include this book on this list. I didn’t read the book but I watched the TV series and I liked it, I could actually relate to both Hannah and Clay. But if you check the GR page of this book you will see that it has a very good rating, look at the top reviews and they are mostly 1 or 2 stars! I can understand where this conflict comes from. Some say that it is a dangerous book/ series and that it encourage suicide, while others say that it is good to raise awareness surrounding this topic. 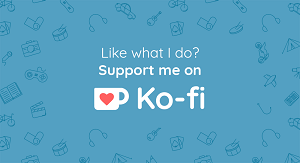 I believe that it depends on the reader because people are not the same and that it can be both good/ bad, so I would recommend to read this with caution anyway! This was called the most controversial book of the year by many readers. This was the total opposite of An Enchantment of Ravens. As soon as it was released, there was this review that said this was racist and suddenly GR is in WW3! This started to get many 1 star ratings from people who didn’t even read it (What?!) and then there were some heroes (at least to the author) who read and reviewed this and surprisingly it started to get many 5 stars. Those reviews pointed out that it was not racist and that it had many strong points and people started interacting positively more and more. The average rating was ~2 but now it has an average rating of 3.8 stars. I haven’t read this yet so I can’t judge but hopefully will someday. 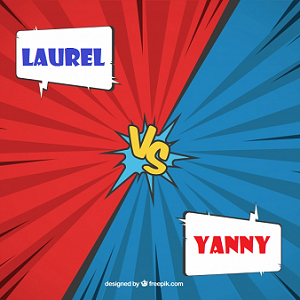 So what do yo hear: Laurel or Yanny? Did you just create this tag? I would love the chance to do it too! And the same thing happened to me with An Enchantment of Ravens. All the early reviews were raving about it and then I felt bad when I gave it two stars. And what happened to The Black Witch has happened to so many books and it’s so annoying. It happened to Carve the Mark and All the Crooked Saints and several others. There’s always one person who says they’re racist or somehow problematic and then everyone starts writing rant reviews without having even read them. Great post! And I’m so loving your blog! Thanks! I look forward to doing the tag! And I haven’t really been a fan of magical realism in the past but I love Maggie so I’m still looking forward to it. And thank you again! I love the title of this book tag! Personally, I hear Laurel. 😂 Such a great tag with many wonderful books and explainations.